Monroeville, AL- June 14, 2015 To Kill a Mockingbird is one of the most beloved books of all time. For fans of the classic novel by Harper Lee, there’s some very good news ahead. Set to be published on July 14, 2015, the only other book known to have been written Harper Lee, will be released. It is titled Go Set a Watchman. Though to be written in the 1950’s, the novel offers up the story of Mockingbird’s narrator, Scout Finch, as an adult. Watchman follows Finch home to Maycomb, AL, where she must confront with her feelings concerning personal issues politics, as well as her loyalty to her hometown. The tale regales the setting and many characters from To Kill a Mockingbird. 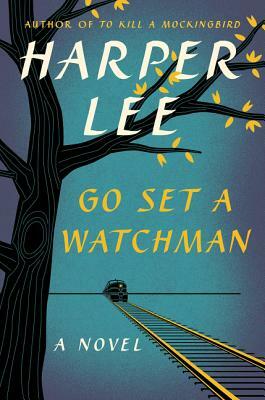 Go Set a Watchman is the name that Harper Lee originally intended for Mockingbird. It comes from the biblical Isaiah 21:6, “For thus hath the Lord said unto me, Go, set a watchman, let him declare what he seeth.” It is a nod to Harper Lee’s own father upon who Atticus Finch of Mockingbird was based. While Go Set a Watchman has been called To Kill a Mockingbird’s sequel, it written well before the well-known first novel. In fact, Go Set a Watchman was thought lost until recently. Found by Harper Lee’s attorney and recently approved by Lee to be released, it will be published as is, without revision. Fans of Harper Lee hope Go Set a Watchman will stand easily alongside Mockingbird. Go Set a Watchman may be pre-ordered from Ol’ Curiosities and Book Shoppe, a retailer located in Lee’s hometown of Monroeville, Alabama. A limited number of orders for the work will include an embossed title pages and Certificate of Authenticity free of charge. For more information about Lee’s new book , call 251.494.9356 or email the store at ocbookshoppe@gmail.com.